You most likely have at least one Readdle app on your iPhone or iPad. The company has been churning out simple productivity apps since its first app, ReaddleDocs made its way into the App Store in 2008 priced at $14.99. The coders didn’t have much time, and hunkered down to work. 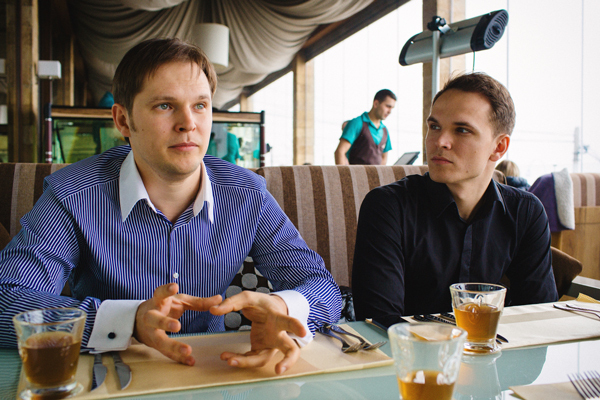 As a freelancer, Budantsov could make his own schedule, and Protserov and Tyagulsky hadn’t taken time off from work in years, giving them two months’ vacation time to devote to the app. When the App Store launched on July 10th, 2008, Apple claimed it had more than 500 apps — today that number’s more than 1 million. And ReaddleDocs was there at the beginning, selling for $14.99. After Mossberg’s endorsement, sales jumped 800 percent. According to Denys Zhadanov, Readdle was pulling in $500 to $1,000 a day. For the four men who’d just wanted to read books on their phones, it was a breakthrough. This is a pretty good read if you’re a fan of Readdle’s apps. Their success is no mistake—these guys work their butts off and make apps that solve our everyday problems. Denys Zhadanov, the company’s marketing director is relentless in his pursuit of getting coverage for frequent app updates and refreshes. He’s quick to reply to tweets and can be found responding to comments on articles about the company’s apps. This work ethic gets noticed by people and is why Readdle claims their user-retention rate is 10 times the industry average, with roughly 500,000 and 1 million users opening one of their apps every month, says older brother Igor Zhadanov. Readdle apps: Scanner Pro, Printer Pro, Calendars 5, PDF Expert (PDF Expert 5 for iPad) and Documents 5. You can check out the entire article here from The Verge. What’s your favourite Readdle app?